The best way to paint large area in minimal time is by using a paint sprayer. Not to mention, many types of paint sprayers are available for different purposes. And therefore, choosing the best paint sprayer reduces effort and saves time that you would probably spend on double-coating. Before we start our reviews of best paint sprayer of 2019, let us bust one common myth about it. Therefore, it is not necessary that you need to have professional skills for completing projects. Yes, that is absolutely true. You do not require expertise in order to paint perfectly. All you need to take care about is, buying a best paint sprayer according to your need. Broadly there are three main types of paint sprayers: Compressed, HVLP (High volume low pressure) and airless. Thus, each one of them holds their own benefits. Also, the type of project determines which sprayer is best suitable for it. So here we are, to make you understand difference between various available products. Also, we will let you know which type of paint sprayer is best for furniture, interior walls, fence, etc. Further, buyers guide at last section will solve some general questions about paint sprayer. 21.1 1. What are different types of paint sprayer? 21.2 2. 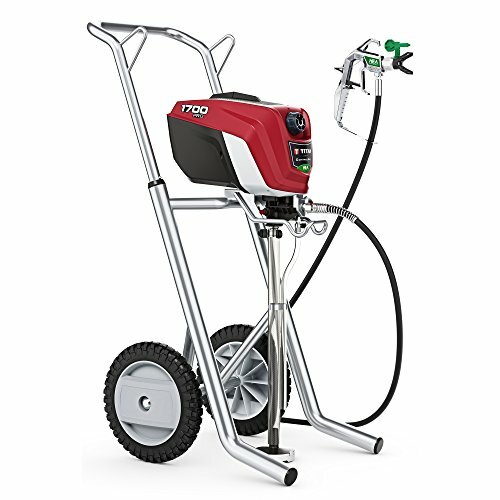 What factors to consider before buying a paint sprayer? So here is the in-depth review of each and every product mentioned in above chart. 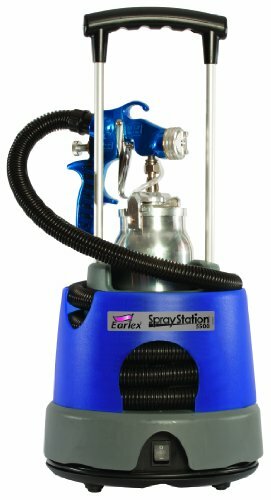 It will help you choosing the best pain sprayer. We start our review with graco airless paint sprayer. If you want to finish your project with a professional look, then this product is just perfect. Therefore, you get complete kit and do not require to buy any parts separately other than paint container. Start spraying directly from 1 or 5 gallon paint bucket with the help of flexible suction tube. What features of this product made us include it in our review list? Firstly, it posses fully adjustable pressure. This in turn allows you to control the flow of the paint according to the project size. Secondly, the RAC IV switch-tip helps with clogging by reversing the tip. Hence, paint flows smoothly without any interruption. Further, 75 ft of paint hose provides flexibility by covering more area along with keeping air pressure consistent. In order to clean the product, connect it with garden hose. 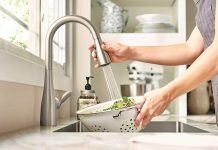 In turn, it makes cleaning process fast and easy. So conclusively, this is best airless paint sprayer for interior, exterior and fence painting. On number #2 we have this electric paint sprayer. It contains self-spraying unit which eliminates need of an air compressor. Ultimately, it makes the product light in weight which means you can carry and move it easily. 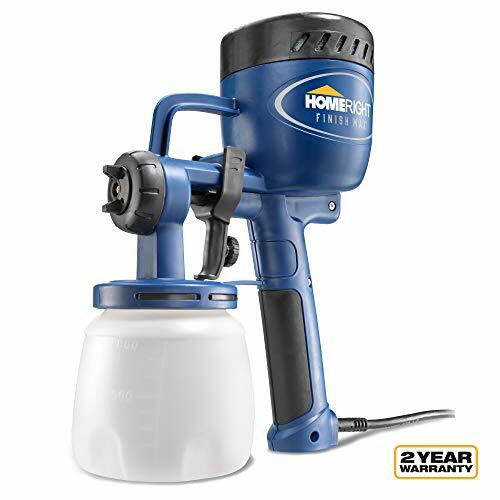 Multiple-spray setting makes this model one of the best paint sprayer for furniture. It have 6 available spray tips with 3 tips included with the product. Thus, easily complete your project of cabinets, crafts, fences, dressers, etc. Therefore, you can even use it to paint fences, walls and decks with the help of extension cord. To get best results, do check the viscosity of your paint before spraying. As this unit is not suitable for spraying thick material, make sure to choose the object accordingly. On a positive note, this sprayer requires less thinning as compared with other models of the same range. Want a product that lasts long for years along with having great working capacity? 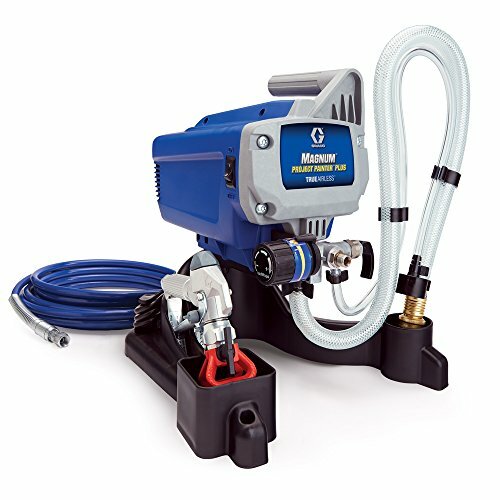 Then on number #3 we have graco airless paint sprayer for all your projects throughout the year. 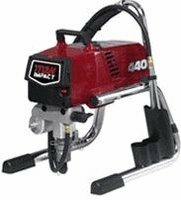 The heavy duty stainless steel pump allows you to spray paint without thinning. Ultimately, gives great results. Further, the dual wheel cart easily holds paint bucket up to 5 gallons. 100 ft of paint hose allows you to effectively spray second or third story walls. In addition, the metal gun with in-handle filter prevents clogging of tips. Therefore, the filter collects the waste matter present in the paint and provides smooth spraying experience. 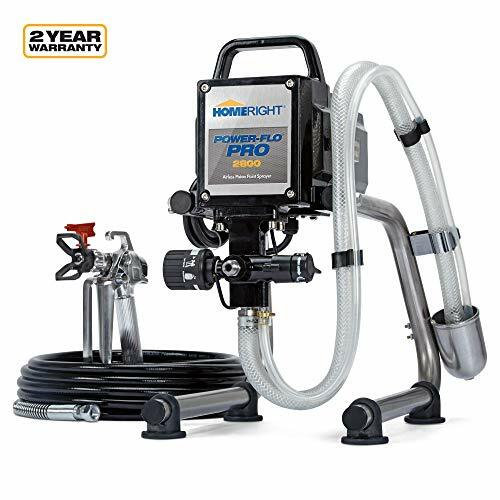 The package includes metal spray gun, switch-tip, 25 ft spray hose, power-flush adapter, quick start-up guide and operation manual. 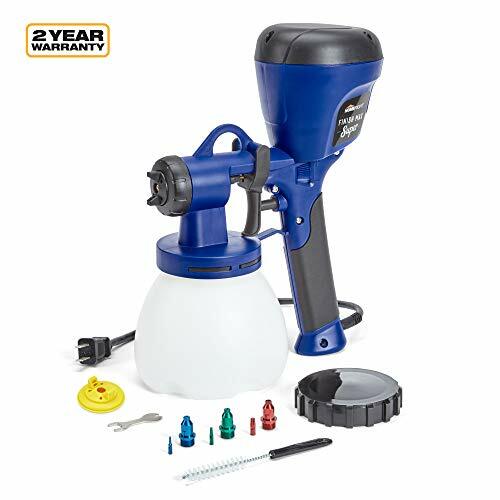 Overall, this airless paint sprayer is ideal for painting interior projects, sidings, small houses, decks and fences. Moving ahead with our list of best paint sprayer, on number #4 we have best product for all purpose. The hvlp paint sprayer comprises of powerful two-stage turbine. This in turn easily handles thick material such as latex whereas variable air pressure reduces over-spray of thin materials. Further, a viscosity cup lets you measure the density of the material. Thus, you can adjust the spray pattern according to the viscosity of the liquid. 20 foot hose provides great reach without need to move air tank. In addition, two large air filters prevents dust from spoiling the fresh coat. So all you get is a smooth and evenly coated surface. Also, the variable flow control covers large space surface in order to perform detailed work. Conclusively, it falls under the category of best paint sprayer for furniture. For big projects, all you need is consistent air flow along with adjustable stream of flow. 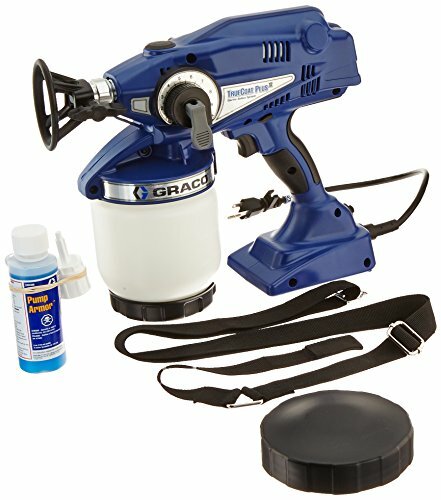 So here we present you graco paint sprayer to meet all your needs. Though it is an electric sprayer, it is airless. All you need to do is, put the suction hose in the 5 gallon of paint bucket, press the metal spray gun and start painting. Thus, which eliminates the need of refilling cup over and over again. Adjustable pressure lets you control the flow of paint. In addition, 50 ft hose easily reaches high areas without compromising performance. Hence, flawlessly coat outer walls, roofs and deck with consistent air pressure. At last, all you get is smooth finish. 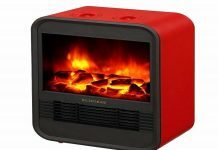 So we can conclude that, this model is suitable for inside as well as outdoor use. Before beginning review of this product we would like to mention that it is very expensive. But trust us, it is worth every single penny. 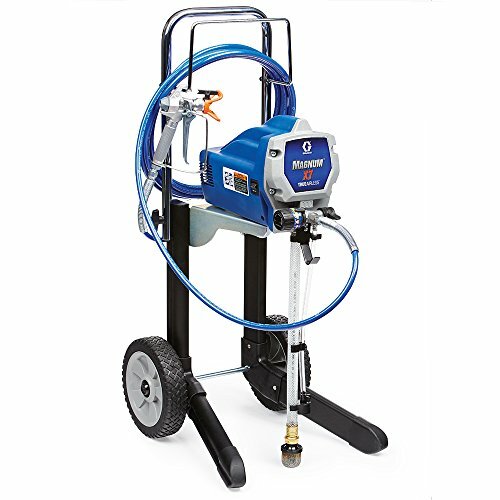 This professional paint sprayer consists of non-bleed spray gun. Thus, which means zero leakage. In addition, its pressurized gravity feed cup does not require excessive thinning of material. So ultimately, you get thick coat which lasts for years. Main credit goes to the M-Model spray gun. This gun is convertible from bottom feed cup to gravity feed cup and vice versa. Thus, effectively accomplish all tasks with the help of this product. In addition, it offers oval patterns ranging from 1 inch to 12 inches. Plus you can adjust patterns accordingly from horizontal, vertical or circular setting. Unlike other products, this sprayer allows you to coat bath tub with little dilution. So thereby, makes it best paint sprayer for multiple purpose. On position number #7 we have wagner paint sprayer. 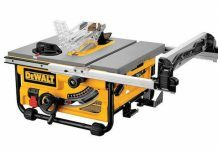 It features double duty high voltage low pressure (HVLP) technology. This air power technology is best for thin materials like stains, sealers, varnishes and lacquers. 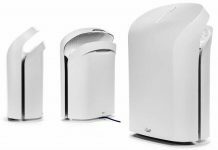 Further, it features two stage indoor/outdoor air turbine ensuring continues flow of material. On the other hand, three position nozzle covers wide area which in turn helps to finish task quickly. Assembling of the product requires less than 5 minutes. Also, cleaning is breeze as the parts come off quickly after use. Though, it is bit costly, you can also buy used product at relatively less price. Lastly, it is best paint sprayer for both indoor and outdoor projects. For interior projects you need a product that is durable as well as light in weight. So our best paint sprayer list contains perfect model for interior walls and small projects. Adjust the pattern horizontal, vertical, wide or narrow with the help of i-spray nozzle. Besides that, it also features accessory detail finish nozzle to give fine finishing to small areas. Basically, it gives best results for cabinets, plant containers and compact furniture. It comes with two nozzles and cups which gives you more flexibility. Thus, complete your work without much hassle. One minor issue with this model is of over-spray. Other than that, maintaining this device is very easy. 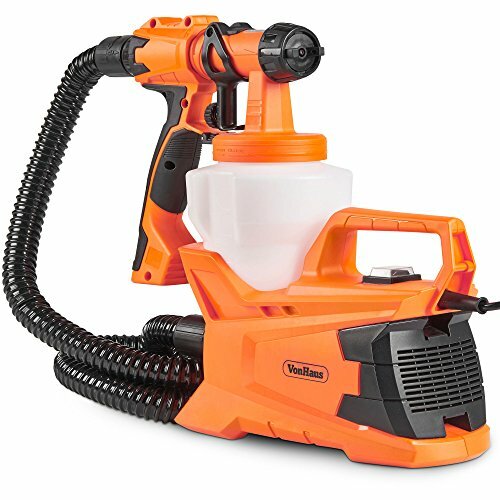 Lock-and-Go split gun makes changing of the nozzle quick which in turn helps in fast cleaning. Noise generated during spraying is unpleasant and loud. Working continuously for long hours might get irritating due to terrible noise. So here we have ultra quiet product on our best paint sprayer review list. 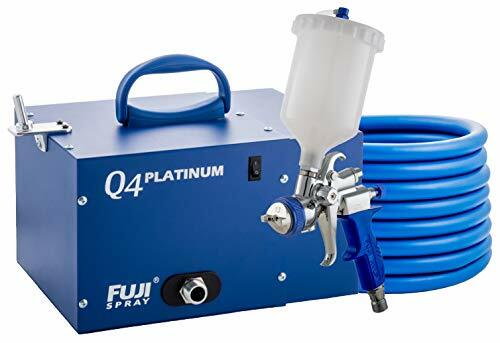 The Q5 platinum is the most powerful spray system of fuji series. It features quiet turbine which is responsible for reducing noise while spraying. In addition, 5 stage turbine produces 9.5 psi along with variable speed control dial. In turn, it allows you to alter motor speed. Its design incorporates heat dissipation chamber(HDC) which expels excess heat from the turbine. Ultimately, increases life of the motor. Non-bleed spray gun with control pattern knob gives your project the ultimate professional finish. This model is best suitable for a beginner or professional. In conclusion, you get all the necessary parts including 25-ft hose, viscosity cup, cleaning and maintenance kit with lubricant, extra turbine filter and much more. Thus, it is must have product for those who wishes to complete project without tolerating annoying sound. If you aim a best paint sprayer for household projects under budget then product number #10 is for you. 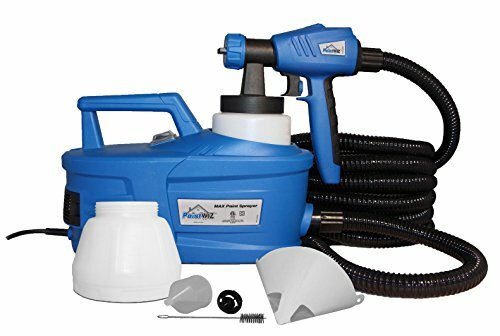 This airless paint sprayer is best for all kind of household units. No matter where you use it, sheds, fences, garage, exterior walls or home interior, it gives an outstanding result. And the best part is, this device is portable and not much costly. 25 foot long hose easily reaches high areas. Further, the sprayer directly draws paint from 1 or 5 gallon container. Similar to other products, this device also have a pressure control knob to manipulate flow of the material. To clean, simply run cleaning solution of water through the sprayer until all the paint goes away. Lastly, this model comes with only one filter that is of 100 mesh. 100 mesh is suitable for primer or thin oil based paint. Therefore, you need to buy 50 mesh filter separately to use latex. Efficiency is must when you are working on large projects. Not to mention, but higher the efficiency, more accurate the work. So on our best paint sprayer reviews we have titan controlmax 1700 pro high efficiency airless paint sprayer. High efficiency sprayer have more benefits as compared to regular models. It results in 55% less over-spray. Besides that, you get maximum control, less fatigue and longer equipment life. Two wheels at the bottom increases flexibility and makes it easy to move. Apart from that, paint filter prevents debris from entering the system. Thus, it is suitable for a semi-professional person. But if you are new and have a little experience about spraying, this model gives the best result. This system can incorporate wide range of coating materials, including interior and exterior jobs. Hence, makes it one of the best paint sprayer under $500. 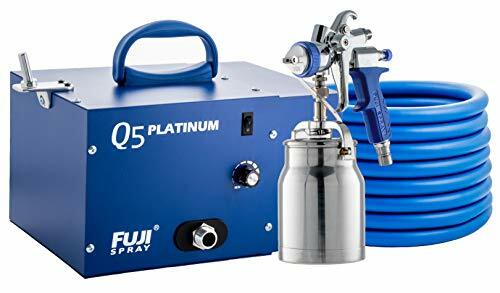 There is a reason why fuji models are considered among the best air sprayer despite of being costly. First of all, this system gives the ultimate factory finish to all your projects. Secondly, using professional non-bleed spray gun, you can manipulate pattern size. Thirdly, the multiple air cap size allows spraying of materials with different viscosity levels. A viscosity cup comes along wit the purchase of this product. Therefore, use it to check the viscosity of the material before spraying. In turn, it will help you to finish your task quickly without any interruption. Apart from it, 25 ft hose comes with in-built air control valve which effectively reduces issue of over-spray. Also the convertible spray gun easily converts from gravity feed cup to bottom feed cup and vice versa. This model is perfect for serious hobbyist and field expert. Thus, the 2-stage version can handle any type of coating. And at last, all you get is brand new factory finish touch. On number #13 we have a powerful hvlp paint sprayer. This semi-pro unit is fast to adjust using push-and-click three-position external spray pattern changing system. Further, it contains wide-mouth paint container and on-board storage for the spray gun. In addition, the 650 watt turbine atomizes tip which results in less over-spray of the material. Surprisingly, this product is not very expensive. You get all the benefits of a hvlp paint sprayer under budget. Also it offers 13 foot air hose and 5.5 foot power cord. This model is best suitable to complete small to medium size jobs like interior or exterior projects. Large projects require a product that is durable and long-lasting. 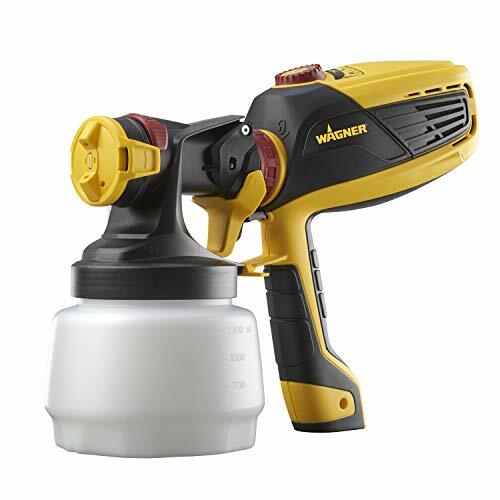 So here we present you wagner paint sprayer. It is very convenient any easy to use. Therefore, the unit is not very heavy which means you can easily carry and shift it with one hand. Further, it effectively sprays stains, latex, enamels and lacquers. This professional grade sprayer possess spraying capacity of 30-70 gallons a week. Not just that, it contains screen on the suction tube, approximately 4 inch filter in the pump and a small 3 inch filter in the gun handle. All together, it prevents debris from entering into the system. Thus, you can work for hours without any interruption. Another plus point is, this unit runs very quietly. Also it does not produce annoying noise while turning on. It comes complete with spray gun, hose and tip. Thus, achieve perfect and smooth finish every time. Are you in search of a best paint sprayer exclusively for home projects? Then here we present you game changing product for the home. Easy on budget, this unit is best for beginners. Not only that, it have a simple and sober design which makes it user-friendly. Also the light weight of the device allows you to work for hours without fatigue. This product is flexible enough to inherit oil or water based materials. Therefore, you can spray chalk type paint, enamels, primers, latex, clear sealer, stain, varnish and much more. Thus, which makes the product perfect for painting furniture, cabinets, dressers, etc. The only thing you need to take care is, wash the unit thoroughly after use. Not only it will increase life span of the product but help with good spraying all time. Moving ahead, on number #16 we have best budget hvlp paint sprayer. Small size of this product makes it convenient to shift from one place to another. The continuous and accurate flow of 6.5 Amperes gives a smooth finish. Besides that, you can adjust the pattern and volume of the flow according to your project’s requirement. As the paint cup is small in size it is best to use it for coloring fence, small furniture, etc. You can certainly use it for large areas, but it requires refilling of cup again and again. Therefore, this machine can flawlessly paint up to 60 Din-S viscosity. Also it is easy to disassemble and clean as it comes along with cleaning accessories. So we can conclude that this model is best for newbies. 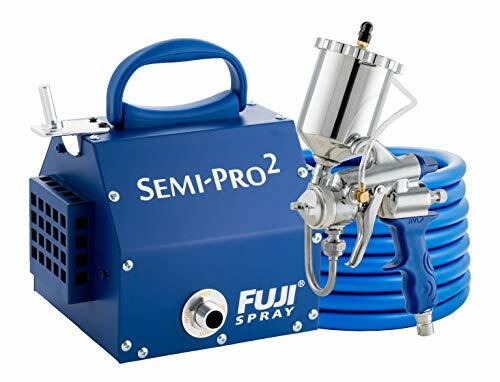 Once again on our best paint sprayer review list we have fuji hvlp sprayer. This model is ultimate for experts or for those who have pretty experience in the field. First of all, it is ultra quiet. Therefore, the 4-stage hvlp turbine does not generate annoying noise at all. Apart from that, it comprises of heat dissipation chamber which is responsible to expel hot air from turbine. In turn, it keeps system cool and helps to increase life-span of the system. 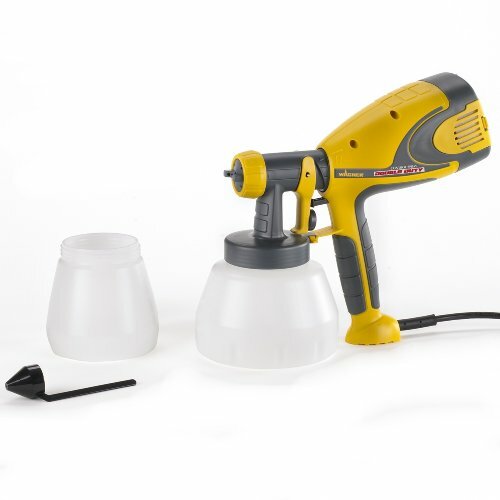 Using general purpose air cap you can directly spray oil, polyurethanes, latex, primers and topcoats without thinning. Ultimately, all you get is thick smooth coat that lasts for years. Besides that, 25 ft hose have an in-built air control valve to reduce the problem of over-spraying and bounce back. The metal turbine case with handy gun holder makes the product portable and easy to use. Summing up, this unit is perfect for interior and exterior work. 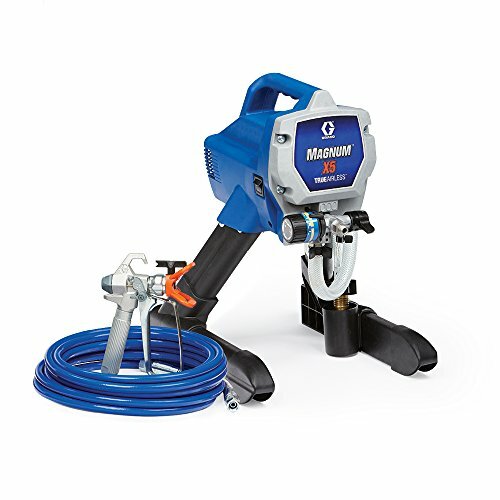 If you’re looking for a product especially for house then we have graco paint sprayer. This handy unit is comfortable to hold and use. Further, you can start your work directly without thinning material. So therefore, you can use wide variety of coating from stains to heavy latex and acrylics. Just make sure you do not use materials that are flammable. This handheld paint sprayer is best to complete house projects whether it is indoor or outdoor. It can uninterruptedly work for up to 25 gallons of paint per year. It features flexible tilt-and spray suction tube which hold the material in place. In turn, it allows you to spray at different angles. And similar to other products, this model also contain an adjustable pressure control knob. This item is ideal for beginners and professionals. We end our best paint sprayer reviews of 2019 with a budget product. Last on our list we have another fuji model which is inexpensive. 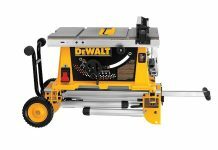 This machine is light in weight which makes it ideal to carry and shift from place to place. Apart from that, the powerful turbine effectively works with many thinner coatings. In addition, it helps to paint 4 times faster than brushes and rollers. Thus, reduces work load while giving excellent results. The 25 ft long hose helps in extending your range without need to move turbine oftentimes. Also you get 1.3 L cup, viscosity cup, additional nozzle, paint strainer and cleaning brush free along with the product. So in conclusion, this hvlp paint sprayer is perfect for home user, hobbyist, learner or weekend warrior. Coat all your projects with a smooth and sleek finish. Checkout more reviews on home improvement products to spice up your house. 1. What are different types of paint sprayer? Paint sprayers are basically of three types. The below details will get you clear idea of which unit is best suitable for what purpose. Compressed Air Sprayers: These are one of the old method to spray paint. It makes use of compressed air to force out paint in the form of mist or very fine droplets. You can use them to complete small projects such as fence, chairs, etc. They are typically cheaper but requires air compressor to operate. One of the main drawbacks of these units are, they require a lot of paint. Also high pressure results in over-spraying which means lot of paint wastage. 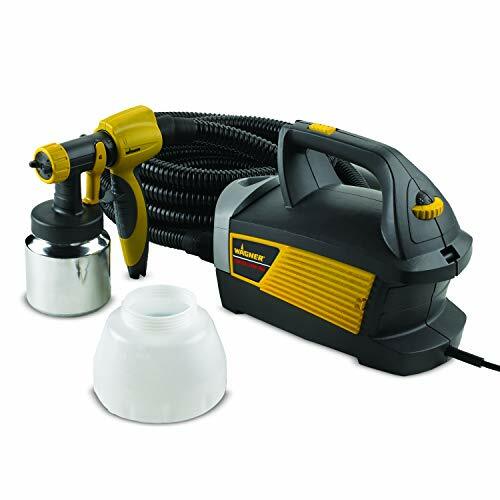 Airless Paint Sprayers: These type of models are widely used for home projects. Therefore, which makes them best paint sprayer for home use. A stream of paint directly hits the surface without flying out. Thus, it can cover large areas in very short span of time. Also it produces less noise as compared to compressed models. It gives smooth finish to all your projects. They are best suitable for ceiling, interior, fence, deck and furniture. High Volume Low Pressure (HVLP) Sprayers: One of the popular and most in-demand model. As the name suggests, it uses low pressure and throws out high volume of material from the gun. Therefore, low pressure is easy to control as well as the paint perfectly lands on the surface without much wastage. One of the main advantage of hvlp paint sprayer is you don’t have to be an expert in order to finish project. It is very convenient to use and it works best on almost all kinds of surface. Be it plastic, glass, wood or walls, all you get is smooth factory type finish. 2. 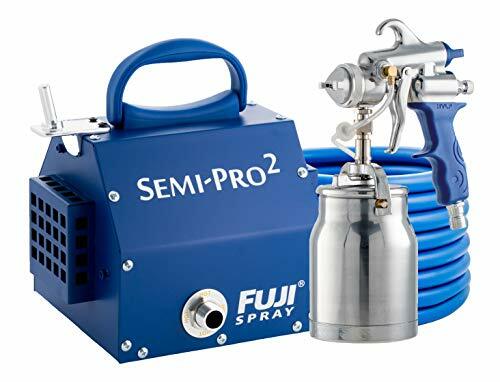 What factors to consider before buying a paint sprayer? Performance of your product depends on many factors. And in order to get a best paint sprayer, consider the following points(1). Pressure: Majority of the models offer 8 bars of pressure which is enough to get a smooth coat. But on the other hand, many products offer 10 bars of pressure which increases its flexibility. In conclusion, perfect pressure provides better finish as well as reduces wastage of the material. Portability: This is one of the main factor to consider if you wish to buy a product for large areas. Therefore, portable units helps to finish large and small tasks quickly. Many models offers a back strap in order to make the product more comfortable to carry and use. Power: The two widely available units are: gas-powered and electricity-powered. One drawback of electric air sprayer is, they need socket to operate. Therefore, which makes them best for interior and exterior house projects. Whereas, gas-powered units are designed for areas having no power supply nearby. Cleaning: In order to increase life-span of the device, you must clean it properly after use. Not only it increases durability but also gives smooth finish every time. Many products come along with cleaning accessories or in-built cleanup system. Even if you product do not come with cleaning accessories, make sure to clean the parts thoroughly in order to keep the performance intact.